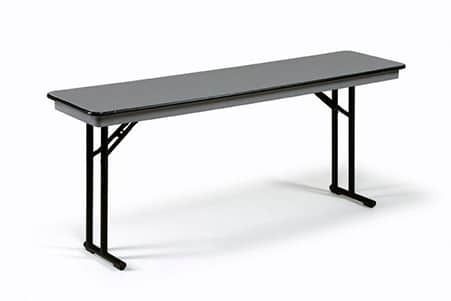 The sleek appearance and sturdy construction on this seminar table make it a great choice for classrooms, offices, or conference centers. The condensed cell honeycomb core provides superior durability. Comes with a 10 year warranty.